Planning for your retirement can be rather tricky. There are so many different ways you could save the money you need. However, you’ll never retire with hundreds of thousands of pounds if you don’t think outside the box. Workplace pension schemes offer some level of support, but you need to keep cash in your accounts too. We’ll show you how to use that money to your advantage. By making careful investments now, it is possible to triple your funds by the time you stop working. Just ensure you don’t rush into anything and always research your options. There are plenty of money-making schemes out there that will leave you penniless. There are a few different ways you can invest in property. Some people choose to buy homes, renovate them, and sell them for a profit. Others choose to acquire properties and become a landlord. Both of those solutions are good, but they require a lot of hard work. So, you might consider an alternative. There are lots of companies that specialise in property investments on your behalf. Representatives from Redbrick Wealth say it is the easiest way to make more money without having to change your priorities. Small business owners are always looking for people with cash to invest. There are sure to be lots of good firms in your local area that could benefit from a financial injection. Your money could help them to expand their operation and reach more customers. Just make sure you pay a legal representative to draw up all the contracts. You need to be 100% certain you will get a good return on your investment. Perhaps you should ask the business owner to provide you with some shares. That way, you will take part-ownership and receive all the advantages that bring. The precious metals market is one of the stablest in the world. Prices have risen at a steady pace since records began. If you’re going to put your money into any products, you should consider gold and silver. Just be aware that you won’t make a huge return in the first couple of months. People who invest in precious metals will have to wait ten years or more to triple their money. However, that isn’t an issue if you don’t plan to retire for longer. So long as you can afford to live without the cash for the next decade, it could be the best move you ever make. 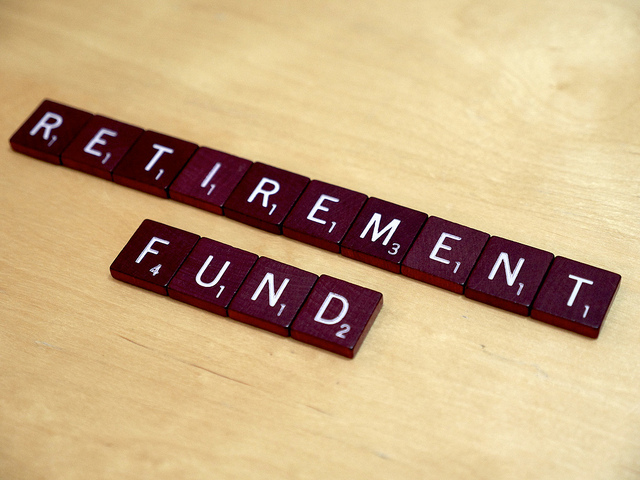 With a bit of luck, you should now have a good idea about the best ways to increase your retirement fund. Those solutions should mean there is no need to sell your family home when you cease to become employed. They might even create enough income for you to take that special round the world cruise. Everyone dreams about a trip of that nature in the twilight of their lives. You just need to take positive action today to ensure you don’t miss out on lucrative opportunities. We can’t tell you which idea is best because there are too many other factors at play.